Keep in mind that you can do this style on a wig as well, giving you a full head of dreads to rock. Avoid using heat protectant because the silicone from the product makes the hair smooth and silky when heat is applied. Without further ado, let’s get to it! First, you’ll want to brush out the extensions from the top to the bottom. This will make sure that any defined curls are removed. A consistent texture throughout will result in the best looking dreads. Wrap the extension around the barrel while overlapping the hair onto itself. If you create gaps, you’ll end up with more of a drop curl or barrel curl. Once at the end of the wand, bring the hair backwards so that there is not a curl at the end. Slide the hair off the of the curling wand immediately in order to avoid burning it or losing texture. 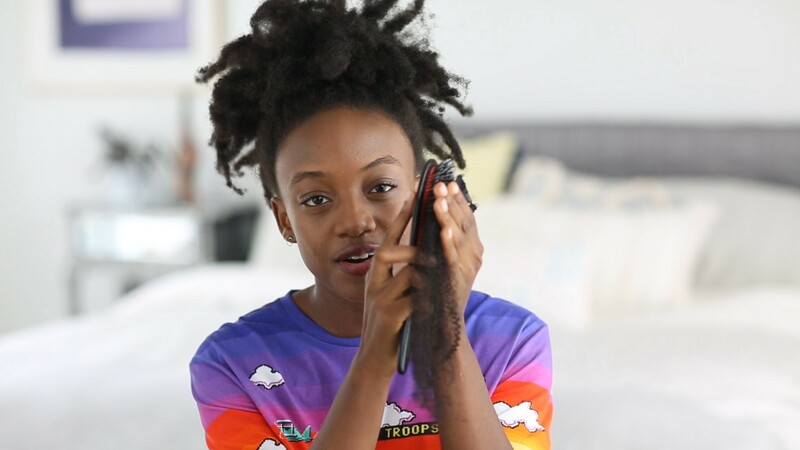 Fuzz down/brush out the extension to the same length as your hair. For example, if you have four inches of hair, fuzz out the dreads 4 inches down from the clip. Once the top is ready, we need to frizz out the bottom to make it more realistic. Hit the bottom of the hair like a piñata until the hair is fuzzy to your liking. Worry not about humidity, as this hair style looks better as the days go by. That’s all there is to it! Use these dreads as a jumping off point and try out some of our dreaded styles. If you like them silky, you’ll have to re-dread each week. But if you like it fuzzed out like Waveney, you can wear it as long as you want. (PRO TIP: Leave the hair in the bathroom when you are taking a shower. The humidity will fast-forward the hair to fuzzy perfection!). Make sure to tag pics of your killer looks on instagram with #koilstyle; we love to see what awesomeness you come up with! Â© 2016 Koil LLC All Rights Reserved.